A spritz of Boss Jour allows her a moment of indulgence every morning to fully prepare and inspire her for the day ahead. 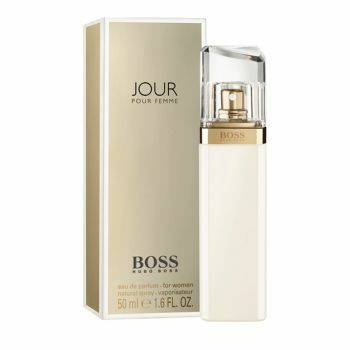 Boss Jour is based on 3 key facets: the ‘light facet’ is reminiscent of the first light of the day; the ‘inspiring facet’ adds a little colour to whatever the day might hold and the ‘elegantly composed facet’ mirrors feminine inner strength. Light facet: The juicy, citrusy freshness of this accord feels like the first rays of light on a sunny day radiating a positive sense of anticipation. Inspiring facet: This accord, a colourful floral bouquet, is a perfect match to the many facets of her day, getting her in the mood for whatever the day might hold. Elegantly Composed facet: The musky earthy notes of this accord mirror feminine strength allowing her to draw from her inner core and approach the day in an elegantly composed way.